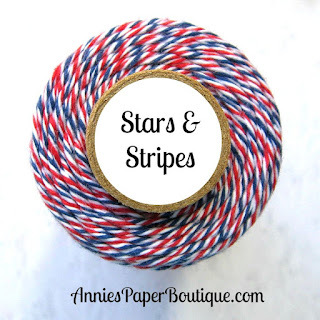 HTB Creations: Trendy Twine -- Happy 4th of July! Hello and Happy 4th of July!! A few of the Trendy Gals made some patriotic projects for today. My card uses a print then cut from my Cricut. I thought this cut was so cute! Originally, I was going to use this on a clear treat box. But I didn't have any candy lying around for that. So I made a card instead. 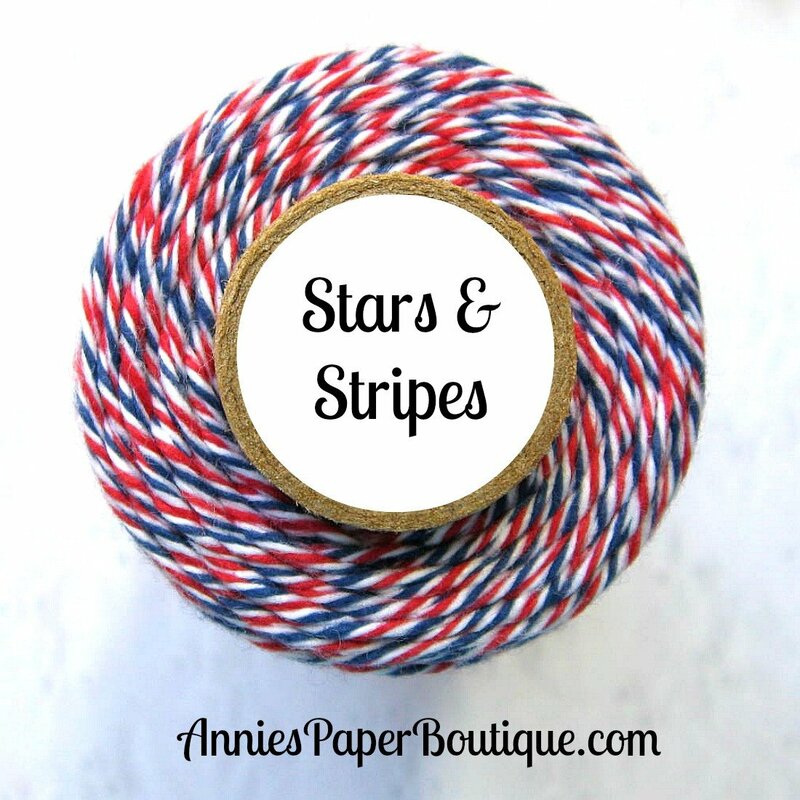 I used the Stars and Stripes Trendy Twine around my fun star paper. Then I die cut the rectangle and pop dotted my die cut onto that. Last, but not least I added some fun silver, red, and blue star sequins. I do love that there are different sized stars in the mix. Be sure to visit the blog for the other project! Happy 4th to you! Fabulous twine color! Happy 4th of July! Wonderful card! Awesome patriotic card! Happy 4th of July! Fabulous card, Helen. Love the big star -- so cute as the focal point.